EDMONTON -- Alberta's minister for democratic renewal says rules, deadlines and penalties pertaining to the finances of election nominees are fair, consistent and well communicated. 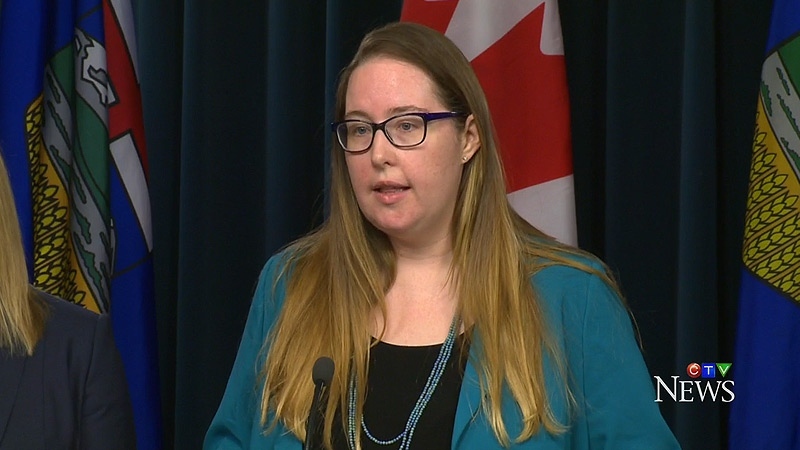 Christina Gray was responding Monday after Alberta Party Leader Stephen Mandel and five of his candidates were disqualified from running for five years because they missed the deadline to file the financial details of their nominations. "The nomination is an incredibly important part of someone going down that path and becoming an MLA," Gray said at the legislature. "Having clear financial disclosure for that makes sense. "I understand that Elections Alberta communicated very clearly to all candidates and campaigns about the changes and about their deadlines." Mandel is going to Court of Queen's Bench to ask the disqualification be overturned on the grounds that the rules surrounding the deadline are fuzzy and open to misinterpretation. The matter is to go before a Court of Queen's Bench justice in Edmonton on Feb. 22. Jason Kenney leader of the Opposition United Conservatives, is supporting Mandel. Kenney suggested a five-year ban for a procedural oversight is far too harsh a penalty. "Elections law should not be written or applied in a way that limits the voters' choices because of small administrative mistakes," Kenney wrote on Twitter. "This unfortunate situation appears in part (to be because) of the NDP's overreach in seeking to micromanage internal party nominations through legislation." Time is of the essence for the Alberta Party as Premier Rachel Notley can drop the writ any time to start a 28-day election campaign that must be concluded no later than the end of May. Alberta election rules have long included five-year bans for parties, candidates and constituency associations for failure to file financial papers on time. There is an eight-year ban for those who fail to file them at all. Under Gray and the NDP, those rules and penalties were extended to include those who run to be nominees for parties. Gray said it was logical to include nominees as part of the overarching goal to eliminate "big money" from all levels of politics. She also said it was consistent to keep the same penalties in place for everyone. Mandel won the leadership of the Alberta Party almost a year ago. In July, he won the nomination to be the party's candidate in Edmonton McClung. 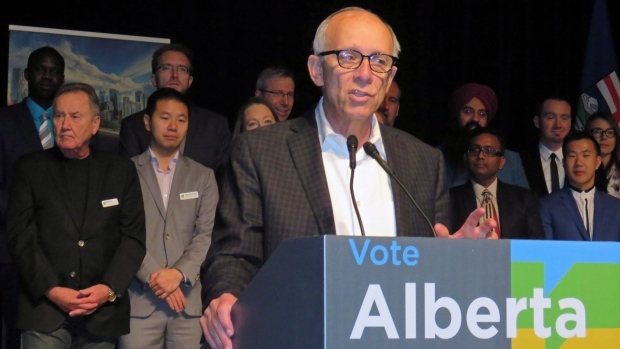 On Saturday, Mandel said he received and understood a July letter from Elections Alberta that spelled out, in boldface type, the deadline to file his expenses for the nomination was Sept. 12, or he would be subject to penalties. That deadline included a grace period of 10 working days to avoid being disqualified. Mandel's financials were not received by Elections Alberta until Sept. 27 -- one day past the disqualification deadline. Mandel said he left the matter for his chief financial officer to handle, but said the CFO was not well, missed the deadline, then didn't tell Mandel he was late. The matter lay dormant until two weeks ago when Mandel was notified by a letter from Elections Alberta of the ban and a $500 fee. Mandel said he plans to argue in court that he should be allowed to run because the rules are not clear on when the financial deadline kicks in. He believes he did meet the deadline with weeks to spare. 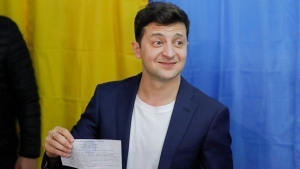 Late Monday, Mandel said in a news release that it "reeks of suppression of opposition" that elections officials knew of the issue in September but didn't advise anyone about the sanctions until the election campaign is so near. "The government has enacted undemocratic and punitive legislation that was not well thought out or executed," Mandel stated in the release. Drew Westwater, Alberta's deputy chief electoral officer, said lawyers will be in court to answer any questions but will not make legal arguments. The fates of the other five candidates -- Rachel Timmermans, Diana Ly, Moe Rahall, Ali Haymour and Amrit Matharu -- are not clear, although Mandel said the party would support them in court. Alberta Minister of Labour and Responsible for Democratic Renewal Christina Gray in an undated file photo.